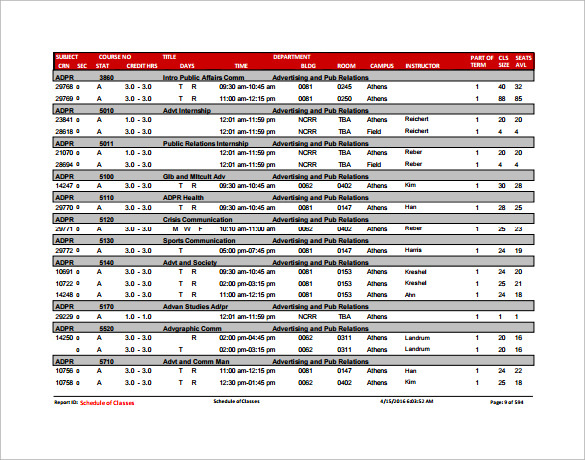 Here is presented a classic schedule template. Some of its features are it can easily be customized in Microsoft excel as per your desires. If you are one of the busiest school or college students or are working as full-time teacher, you can get benefited from the classic Sample Class Schedule.This keeps you aware of how to organize the class. 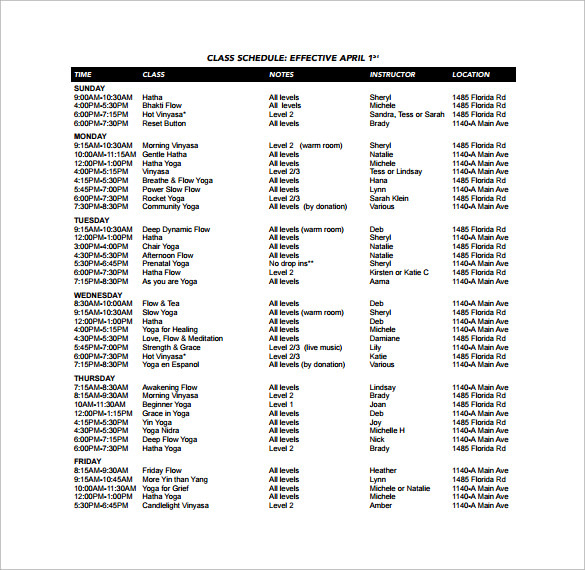 The class schedule can also help you to arrange the lectures and periods in a timely manner. You can remind the students that they are not to miss classes, and should attend the lectures without any delay. It works as a nice time management tool for both students and teachers. These templates are used by teachers, administration and students of a school. This enlist data in Excel spreadsheet or in a table constructed with rows and columns. The days of a week are entered in the row and the column is created for subjects assigned at specific time. The entered subjects are subjectable from one class to another. These are templates with a standard timetable pattern, arranged in grids the working days are sorted in the row and the column bears the subjects fixed for the corresponding hour. The subjects entered can be easily changed when required. As can be inferred from the name, this template can be created and presented using MS Word. 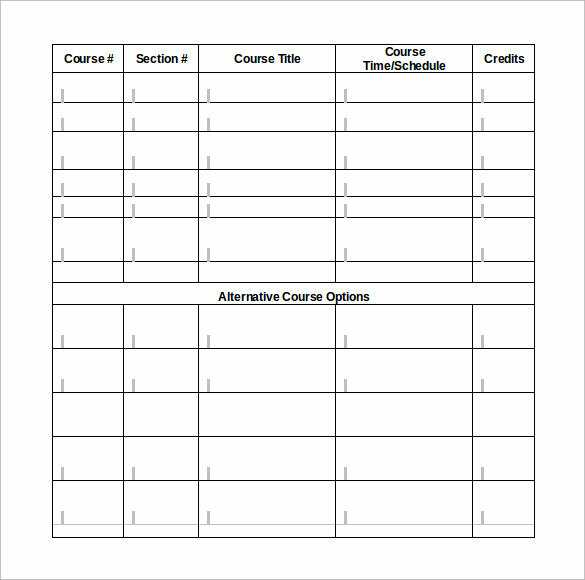 This is arranged as a table, with the rows assigned for attributes such as Lecture topics and sate of assignment submission and the column that can be further divided for corresponding dates. This template also features additional details of the instructor. This template gives a list of events, classes or assignments assigned for a week. The basic layout of the template remains the same, the data entered can be modified as the weekly progress. The template is helpful to get a glance of the activities and work lined up for a week and test announcements for students. 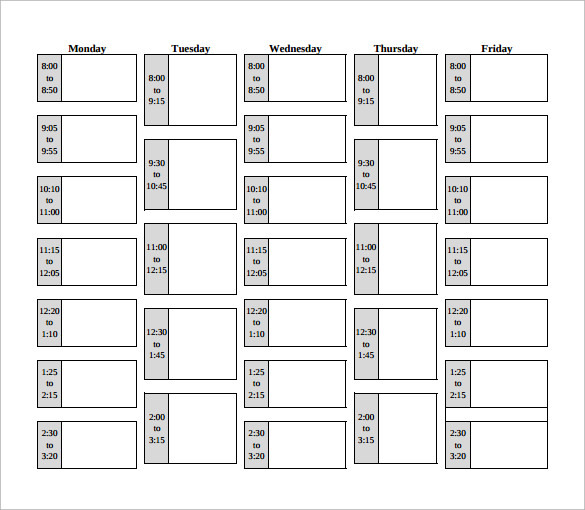 When to use a Class Schedule Template? 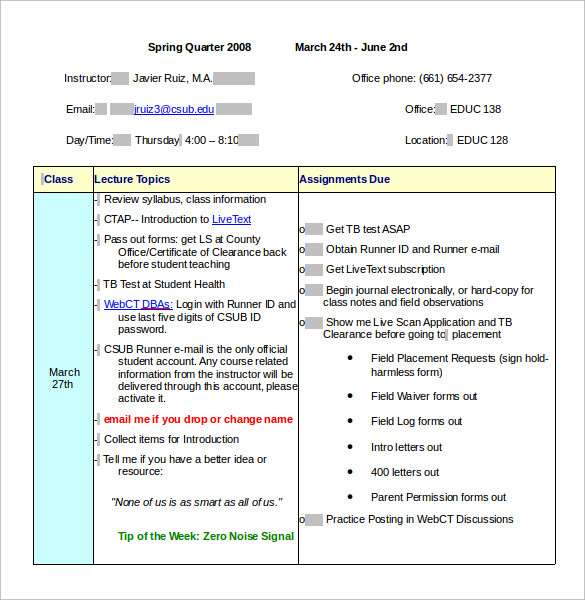 The Class Schedule Template is used when there is need to organize schedule of teachers, administration and students of an institution. 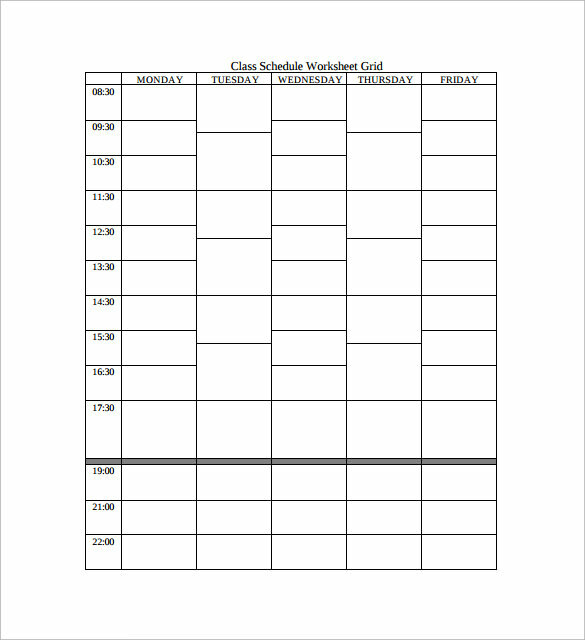 When basic layout of schedule remains the same throughout the academic year, these templates are required to apply the required changes without repeated need to construct an entire time table, this template is useful if there is a requirement to edit data within a short notice. In addition, it is employed when autofill of entry or repeated copying of fundamental details are required in different time schedules running within the same school or college. 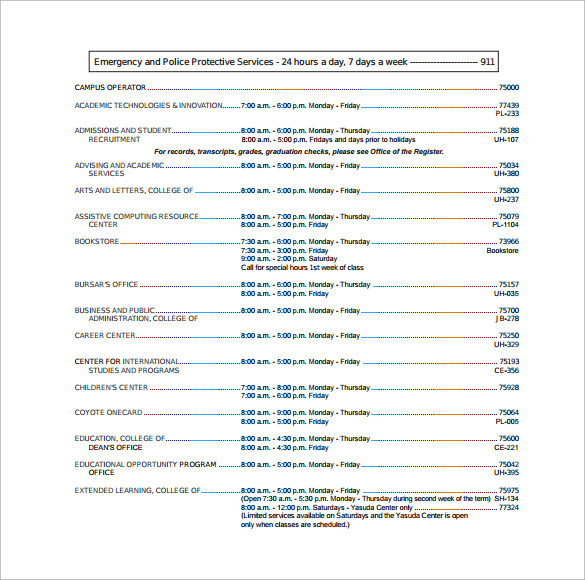 Another situation in which these templates be most helpful is during is during an emergency announcement when the layout remains the same and the announcement can be typed in the space allotted and sent for printing. 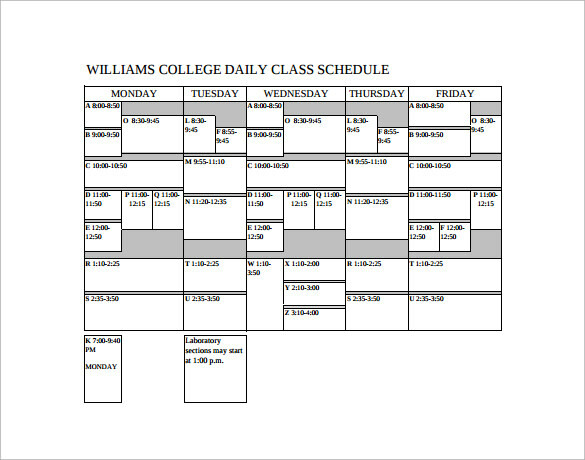 How To Use Class Schedule Template? Why To Use The Class Schedule Template? Class strength, assigned instructor, subjects corresponding to the hour, and other such details change monthly or annually, manual construction of a table with the same number of rows and columns, or drawing grids of the same dimensions can be monotonous and waste of time. Instead customizing already constructed time table frequently is a wise option. The templates available allows text font style and size to be edited. Scheduling assignments becomes an easier task as clash of tests can be easily spotted. To make the time table appealing to one’s view, images can be added along with motivating quotes. The resultant print has clarity. The text can be bold, underlined and highlighted to capture immediate notice. Also these templates are compatible with MS Word, Open Office and Mac Pages, making them accessible from any system. 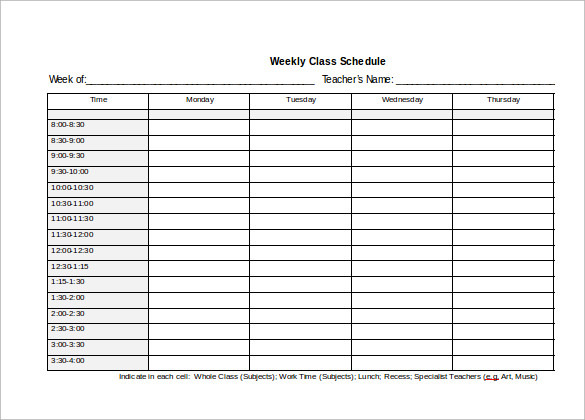 Class Schedule templates are teacher and student friendly and can make effective reminders. To maintain updated schedule of classes and yet spare the horror of repeated work, these templates with entry autofill, data modification and image variations have made such tasks easier.